Zimbabwean striker Kingston Nkhatha produced a sparkling second half dispaly as Supersport came from behind to beat Maritzburg United 4-1. It was however an uforgettable 1st half as wasteful Nkhatha and Brockie combined to miss chances and their team went to the break trailing 1-0. Supersport came from the breather with energy and the equaliser came after a nice build up by Reneilwe Letsholonyane and Nkhatha, who combined well to set up Masango from close range. In the 53rd minute, Nkhata again turned provider as Masango got to the end of his cross for his second. 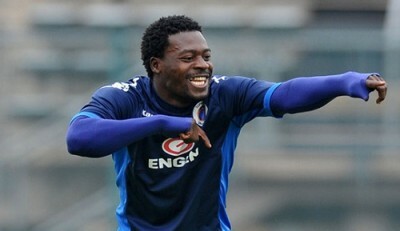 Nkhatha then put his name on the score sheet for Supersport’s third with an acrobatic bicycle kick. Nkhatha was involved again, teeing up Brockie to slot home United’s fourth.